We had the good fortune to fly on the ANA Pokemon jet to/from Sapporo. 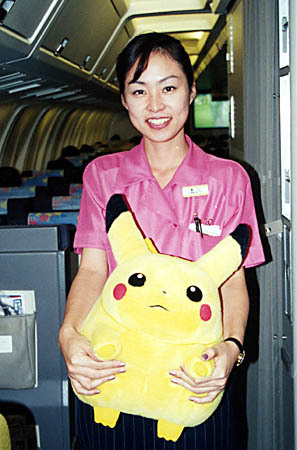 The outside of the plane was decorated with giant Pokemon characters and each seat had a special Pokemon head rest protector. Most importantly, though, it gave me a good excuse to get a picture of the stewardess!